Westchester County Executive Robert P. Astorino stands with leaders in some of the affected communities by the Fair Housing Settlement, including from left, Rye Brook Mayor Paul Rosenberg, Eastchester Town Supervisor Anthony Colavita, North Salem Town Supervisor Warren Lucas and Mamaroneck Town Supervisor Nancy Seligson. WHITE PLAINS—A seven-year battle between Westchester County and the U.S. Department of Housing and Urban Development over terms of a controversial fair housing settlement appears to be finally winding down. On July 19th, Westchester County Executive Robert Astorino announced that HUD had accepted the county’s 11th submission of an Analysis of Impediments to Fair Housing (AI), which most likely will end the back-and-forth issues that have dogged the county and HUD over zoning, marketing, Source of Income and implementation of the tenets of the $51.6-million fair housing settlement reached in 2009 with the administration of former Westchester County Executive Andrew Spano. The settlement, which required the county build 750 units of affordable housing in 31 communities, stemmed from a housing desegregation lawsuit brought by the Anti-Discrimination Center of Metro New York filed against Westchester County in 2006. 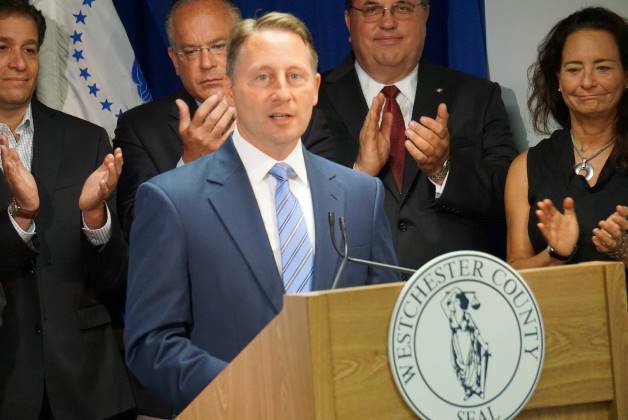 Saying the fight was worth it, County Executive Astorino said that the last remaining issue between the county and HUD had been resolved when he said the federal housing agency finally agreed that there were no cases of exclusionary zoning in Westchester. HUD had rejected the county’s 10th AI submission in April substantially over zoning concerns. Jay Golden, regional director for HUD’s Office of Fair Hosing and Equal Opportunity, in a July 14th letter to Westchester Deputy County Executive Ken Plunkett stated that HUD deemed the zoning supplement to the AI to be acceptable in accordance with the terms of the settlement agreement. “HUD appreciates the County’s commitment to reaching an amiable solution of this matter and acknowledges the County’s efforts in modifying the AI Supplement in order for it to be deemed acceptable to HUD,” Golden said in the letter. A HUD spokesman confirmed that the agency accepted the county’s entire AI, which appears to be the last major issue remaining between the county and HUD in the fair housing case. Ned McCormack, a spokesman for Westchester County Executive Astorino, said that minor changes were made to the county’s latest AI submission by consultant VHB, but those changes did not in any way alter the county’s long-standing position that there is no exclusionary zoning in Westchester County. In December, the county met and in fact exceeded the settlement’s benchmark having 799 units financing and building permits. County officials noted it has another 100 units in the pipeline. With the AI approved and the benchmark on units met, the only outstanding issue between the county and HUD is for the county to complete its outreach campaign on the benefits of diversity and affordable housing. Called “One Community,” the campaign, which is underway and scheduled to run throughout the year, includes print, radio, cable television and social media advertisements. To date, the county has spent more than $1 million on marketing and outreach, well above the settlement’s $400,000 requirement. 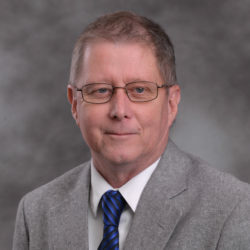 With the AIs’s acceptance, the county is hoping to end the costs associated with the fair housing settlement, including funds to pay for the current Housing Monitor, former federal judge Stephen C. Robinson. The partner in the New York City law firm Skadden, Arps, Slate, Meagher & Flom is, according to Westchester County, billing at a rate of $675 an hour for his services, but unlike the previous monitor, his fees are not capped at $175,000 a year. In June, Lynne Patton was named administrator of HUD’s Region II office in New York. Patton joined Region II from HUD’s Office of the Secretary where she served as Senior Advisor and Director of Public Engagement.